In early November, Hyundai announced that it would be splitting the Genesis luxury sedan off into its own brand. It then dropped the curtain on the newest flagship of the newly spun-off Genesis franchise. These moves were expected, but were also the absolute right thing to do for Hyundai to continue its campaign of establishing the Korean automaker as a legitimate rival to big-name luxury players in the market. Here’s why. Hyundai has come a long way since its humble entry into the U.S. market in 2008. It now has the strongest product portfolio in the brand’s history, with attractive offerings such as the new Tucson and popular Sonata. And those products are so strong on their own, they do not need the gravitas of a car like the Genesis pull buyers into dealerships. These cars can stand on their own four wheels, so to speak. When the Genesis first debuted it had style that amounted to an upscale, rear-wheel drive Sonata. With this current generation—and its big, bold grille—the Genesis as developed a style all its own. Hyundai has shown that it is following the trend of automakers like Audi and BMW, where the front end design of many of its vehicles look very alike. It would be pretty hard to have that design philosophy for every vehicle except for its flagship sedan. Meanwhile Hyundai is not forcing dealers to create standalone showrooms for its Genesis brand (if a dealer thinks its own showroom would be more successful in that market, they have the option), which is a smart, low-cost approach. 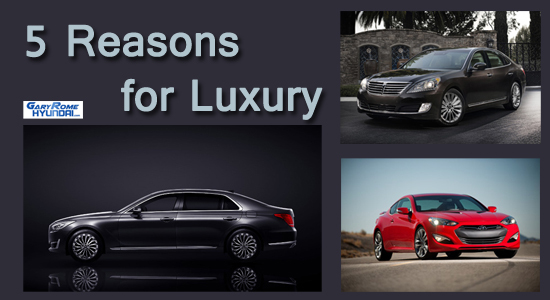 The Equus is an incredible feat for Hyundai. Where the first and second Genesis sedans proved Hyundai could make a competent performance-luxury sedan (in the ilk of the BMW 5 Series), the Equus showcased what Hyundai could do when it wanted to make its own Mercedes-Benz S-Class. But like the first-generation Genesis, the styling of the Equus was somewhat anonymous, and so the move to Genesis G90 for the next generation of the car, and bearing styling very close to the current Genesis, it continues to set up the spinoff brand for success. Despite the similar name, the Hyundai Genesis Coupe and sedan have always looked quite different. It was a strange move to have the similar names, and yet the coupe is a car with a completely different feel. Putting it under a Genesis brand name, rather than the actual model name makes a bit more sense, but also lets the Coupe do its own thing and allows the fun-to-drive two-door to grow in its own unique ways. Hyundai says the new brand will have six models in the coming years. It is unclear if that includes the current three (Genesis, Genesis Coupe, G90) or means six additional models. But this is important because of where there is money to be made. A compact, BMW 3 Series competitor is necessary for any luxury brand to achieve necessary sales numbers, while the compact crossover market is the fastest growing segment in the industry. So what of the sixth? Perhaps a large luxury coupe, slotted above the current Genesis Coupe? The Hyundai HCD-16 Vision G Concept showcased the automaker’s interpretation of a beamy luxury coupe. All we know is these new cars would not be possible without Genesis splitting off as its own brand.